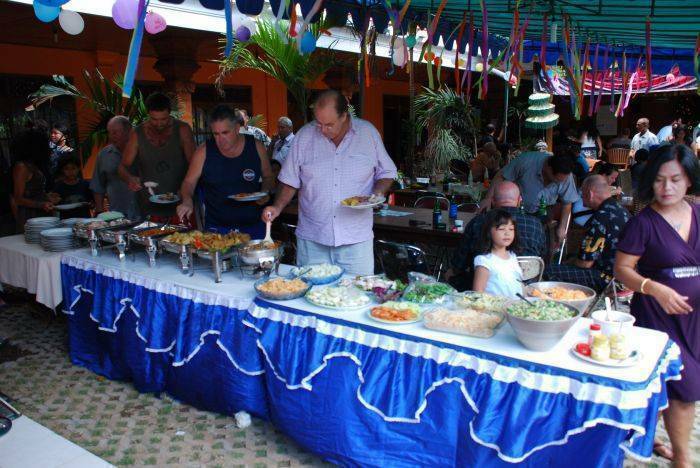 The property has a bar and restaurant with moderately priced food. 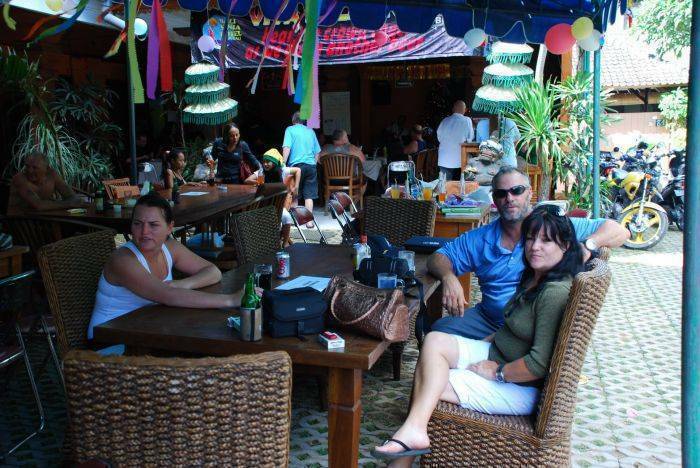 The restaurant is very popular with the many expats who live in the Sanur area. 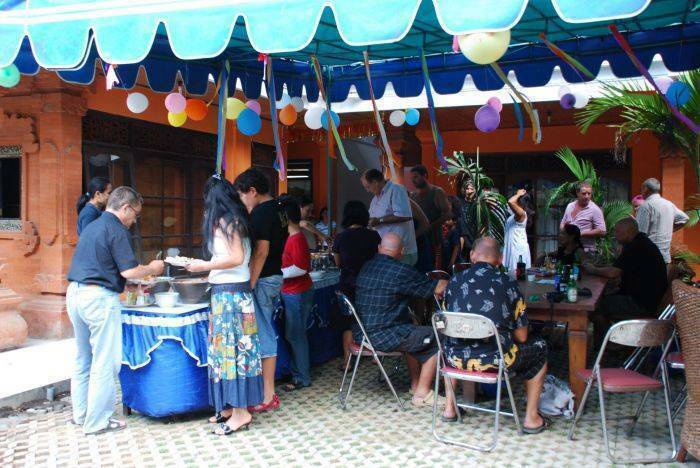 The property is located in a quiet neighbourhood minutes from the beach, local bars, restaurants and supermarkets. Fried rice/noodles/sates/bakso(meat ball soup) Very cheap. Payment on arrival at hotel. Full refund (less deposit) if booking cancelled within 24hours. No refund if booking canceled within 24 hours. 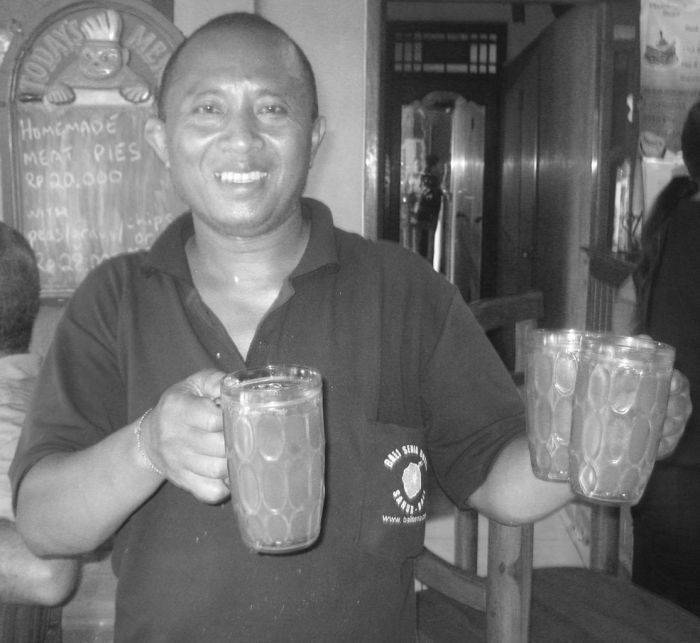 The hotel is 20 minutes from the airport on Jalan Danu Poso 23, Sanur. 50 meters past the Circle K convenience store. Airport pickup can be arranged for Rp 80, 000. This is cheaper than the only other alternative airport taxi. Please email flight details if you require an airport pickup. Local buses run past the hotel. Rp 2, 000 per ride.